Welcome to the Professional Movers Association of Florida! Keeping Florida’s Moving Industry Moving Ahead! 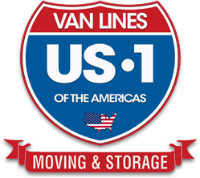 We are a group of dedicated, passionate men and women who work in the moving industry in Florida. We are professionals who seek to excel in our chosen profession and give back to the industry that has given so much to us. We exist in order to best serve consumers and our community. From the Find-a-Mover Directory to Supplier Discounts, PMAF offers its members many benefits. Click here to read more! The biggest benefit I get from being a member is by far the networking with others in our industry who are facing the same challenges and experiencing the same struggles I am on a daily basis in the moving industry. The wisdom, advise, best practices, and insight I learn and share and am encouraged with annually are invaluable to me. I believe education in this industry is very important as well as legislation to support our industry. This industry is my livelihood, so I want to help protect it and make it as great as possible for us and our consumers who deserve that. The resources and vendor connections are just an added bonus! Click here to read more member testimonials. Learn more about what the Professional Movers Association of Florida can do to help you grow your business and strengthen your network.